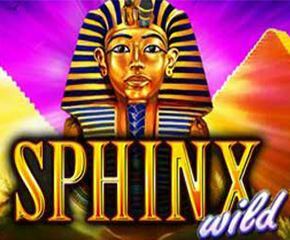 Sphinx Wild is an Egyptian themed slot game based on Pharaoh and pyramids of Giza. The rich graphics with everything in gold gives you a glimpse of treasures this country had. The game has five reels and forty large paylines that make way for ample symbol combinations you can win from. The reels are set against the backdrop of desert and pyramids with gold coins all around. The intense music makes the game more serious but truly an enjoyable experience with colourful symbols. The wagering begins with 40p but if you are lucky, you can try the game’s Max of £400 a spin. This game is playable on all Android and iOS devices. This wonderful slot game was developed by none other than IGT, a name you can truly trust when it comes to slot gaming. Over 40 years of experience combined with expertise in various gaming software technologies, they always succeed in creating world class games for online casinos. The symbols of Sphinx Wild consist of various Egyptian sacred artefacts that take you back in time. There is an ankh cross, scarab, eye of Horus, Bastet and gold ring with other ornamented symbols. You can also find low-value card symbols from 10 to the Ace. The symbol you can rely on for top payout is the Bastet that gives you 250 times on your stakes. The mask of Tutankhamun, pyramids and the game logo are the bonus feature symbols that help you win big. Bonus Wild Symbols: There are two wilds in this game; the base symbol is the Tutankhamun that covers for all the symbols and lands frequently on all reels. Additionally, Sphinx Wild substitutes all the symbols too and appears randomly. Five of its landing even gives you 25 times your total bet. Scatter Bonus: The symbol of pyramids is the scatter feature and it helps you win some free spins. With three landings you get a choice of 7, 10, 15 & 30 spins with 5x, 3x, 2x & 1x multiplier. Four scatter symbols let you choose 9, 15, 20 & 40 with 5x, 3x, 2x & 1x. Five scatters gives you the option to choose 14, 20, 30 or 60 spins with 5x, 3x, 2x and 1x multipliers. Free spins can be re-triggered anytime too. 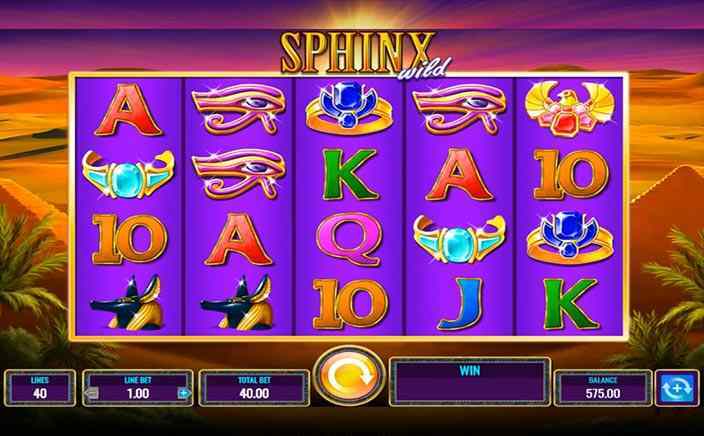 With various bonus features and a huge number of free spins that you can win, Sphinx Wild is the game with enhanced winning opportunities.